"I'm so glad I went to this clinic. I am now pain free!" "It's a good place and friendly people. The doctors make you feel important." 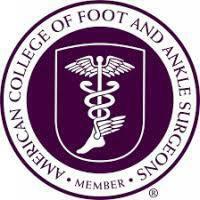 With advancements in modern therapies and state-of-the-art medical lasers, patients can get immediate relief from most pain and ankle ailments during office visits at Podiatry Clinic of Jackson. The clinic is conveniently located right in the heart of Jackson, Tennessee, near the premier West Tennessee Healthcare campus. The caring podiatry team at Podiatry Clinic of Jackson even regularly care for patients who have chronic issues, such as diabetes and arthritis. Because these types of ailments require regular visits and thorough healthcare management, the podiatrists work to counsel patients on lifestyle changes they may need to make to stay in good health. While the team can perform many types of in-office procedures, in some cases, surgery is required. The podiatrists use only the latest tools and minimally invasive techniques, so patients have little downtime and a faster recovery. Patients of Podiatry Clinic of Jackson appreciate the team’s ability to make them feel comfortable and relaxed during office visits. If needed, practitioners also work closely with orthopedists, primary care doctors, and other types of specialists in the area, which allows patients to get comprehensive patient-centric care. New patients are always welcome to visit the practice. 2002-2018 Reader's Choice Award Winner! "It was easy to get an appointment, and there has been no wait time for my visits. I highly recommend Dr Arcuri and Dr Holt." "Dr. Acuri did surgery on a joint in my right big toe! Did a wonderful job. Healed quickly! 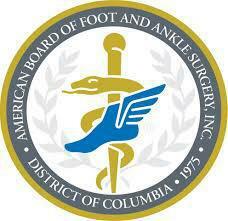 I will recommend him to anyone who needs an excellent Podiatrist!" "A great place to walk in and take a load off your feet! Dr. Holt is a first class personal physician with an old school bed side manner that is rare to find these days."